Sexually Abused by a Priest in the Archdiocese of Newark? We Can Help. Our law firm is offering free, confidential evaluations of clergy sexual abuse claims involving priests of the Archdiocese of Newark. We have been handling clergy abuse cases for decades and have the experience you need to seek justice for what happened to you. Contact us today at (954) 641-2100 or send an e-mail to adam@adamhorowitzlaw.com to find out your legal options. Recent developments in the State of New Jersey, including the Attorney General’s announcement of a comprehensive investigation of sexual abuse allegations against New Jersey clergy, have changed the legal landscape for survivors of sexual abuse by clergy in the Archdiocese of Newark. The Attorney General investigation, which is only in its infancy, could very well reveal abuse and cover-up patterns similar to those found in New York and Pennsylvania in their groundbreaking grand jury investigations. The Archdiocese of Newark has established a voluntary compensation fund for survivors of sexual abuse in Newark, but you must act soon. 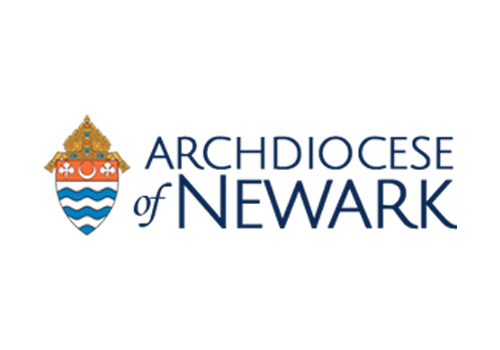 Recently, the Archbishop of Newark, Joseph Cardinal Tobin, announced that the Archdiocese of Newark will participate in a confidential, voluntary compensation settlement fund for victims of sexual abuse by clergy in the State of New Jersey. The fund, which is modeled after similar funds in New York and Pennsylvania, will compensate victims in a shorter, more cursory process than full-blown litigation. Respected attorney Kenneth Feinberg, who administered the New York and Pennsylvania claims and other high profile, sensitive claims like the 9/11 Fund, and his business manager, Camille Biros, will review each claim as a neutral third party and award compensation. We have extensive experience handling claims in the compensation funds and are very familiar with the process and expectations of Mr. Feinberg and Ms. Biros. There will be a deadline by which all claims must be filed with the Archdiocese of Newark, so it is important that you act today to protect your rights under the fund. Contact us today to discuss your options. Through Our Own Investigation, We Have Identified 92 Catholic Clergy Accused of Sexual Abuse in the Archdiocese of Newark, and that Number is Expected to Grow. In February 2019, Cardinal Tobin released the names of 63 men that the Archdiocese of Newark said were “credibly accused” of child sexual abuse since 1940. Such a determination was made after internal investigation by the Archdiocese, not independent third parties. The Archdiocese of Newark had exclusive control over the criteria determining which priests are identified, which makes an independent grand jury investigation that much more important. Through our our investigative efforts, we have identified 92 Catholic clergy assigned in the Archdiocese of Newark who have been publicly accused of sexually abusing parishioners. We believe it to be the most comprehensive list of accused clergy publicly available today. In many cases, the men listed below were the subject of multiple allegations, or were moved to a new parish after allegations arose. Horowitz Law is a law firm representing victims and survivors of sexual abuse by Catholic priests and other clergy in the Archdiocese of Newark in New Jersey. If you need a lawyer because you were sexually abused by a priest in New Jersey, contact our office today. Although many years have passed, those abused by Catholic clergy in the Archdiocese of Newark now have legal options, but filing deadlines will apply so do not delay in reaching out to us. Our lawyers have decades of experience representing survivors of clergy sexual abuse in New Jersey and nationwide. We can help.